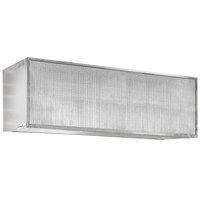 Keep your operation clean and comfortable with this Curtron AP-2-36-1-PC Air Pro 36" white powder coated air curtain. 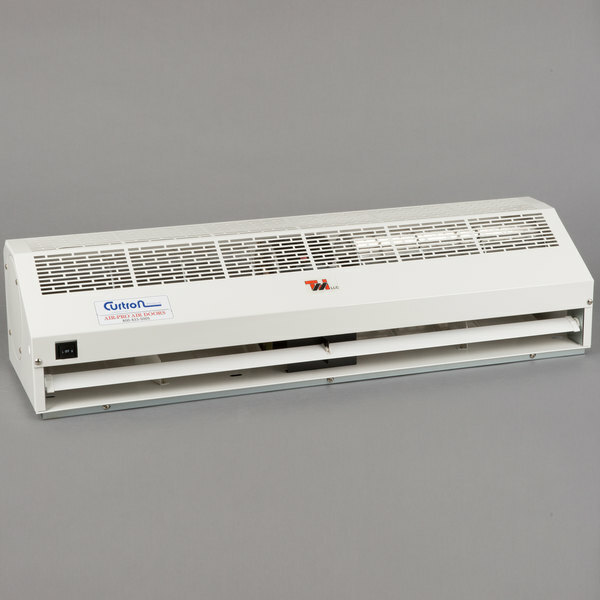 This Air Pro air curtain effectively helps maintain comfortable working temperatures within your business while also offering protection against outdoor nuisances like flying bugs, dust, and odors. 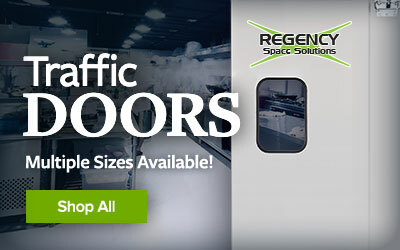 It is a great choice for employee or customer entrances at your restaurant, convenience store, market, or retail store. 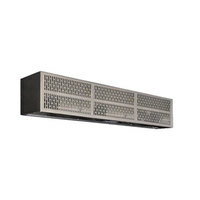 For a boost in energy savings, this unit is even designed to operate only when the door is open! 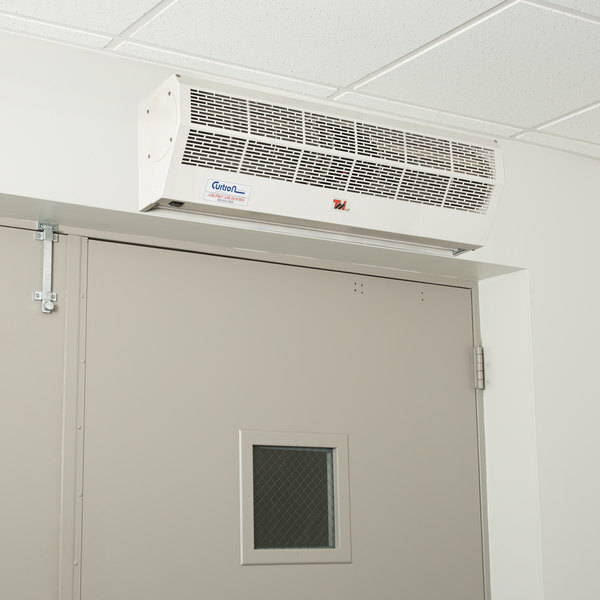 "The unit creates a nice stream of air to help keep flying insects out of our building when the door is opened. The fan is quiet and less noisy than I expected. I would recommend this to anyone." 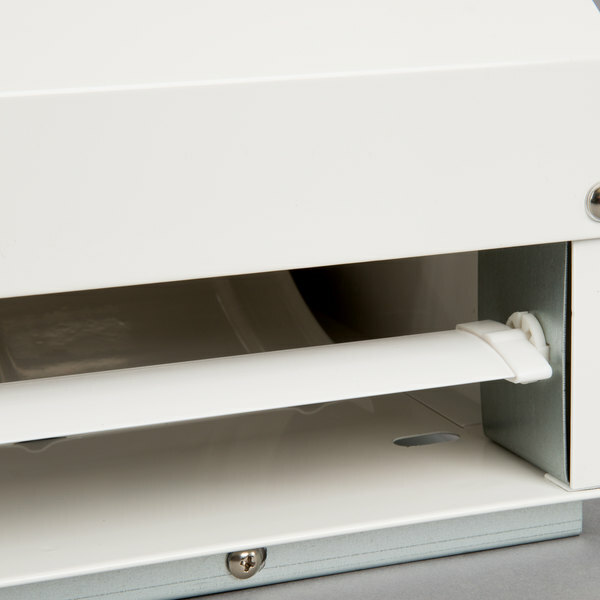 A 2 speed, 1/3 hp motor and dual blowers can stop winds up to 25 mph, helping you maintain a consistent internal temperature even with the door open. 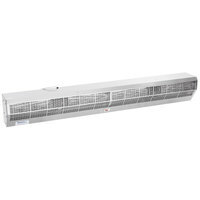 The air curtain also helps circulate air inside your establishment, keeping the flow of hot and cold air steady, which lowers your overall energy consumption and reduces those staggering utility bills. 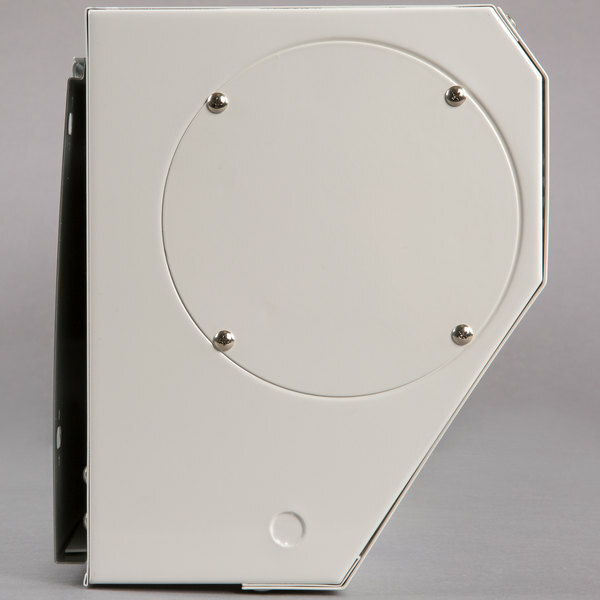 Its motor also has a low noise output, so it won't to bother your customers. 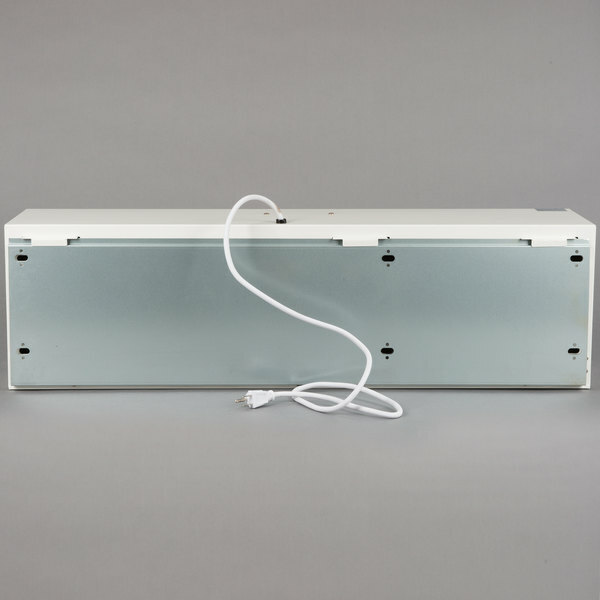 This air curtain features four notches on the back of the unit so that installation is as simple as mounting it and plugging it into a nearby outlet! 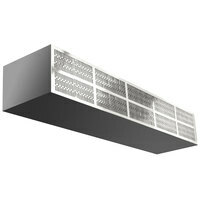 The air curtain's housing, grill, and air nozzle are each made out of white powder coated 304 grade stainless steel for long-lasting strength and durability. Thank you for your review! We are sorry that this caused an issue with installation and appreciate your feedback. 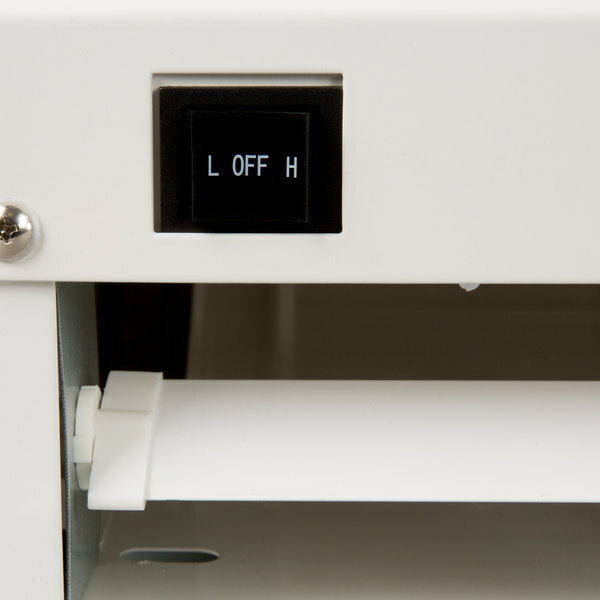 We are working with the manufacturer to resolve this issue and to provide the most up-to-date installation information that we can. These work great. Bought a ton of them to put in all openings for a restaurant we are opening. Great air pressure. Will probably paint them to hide. 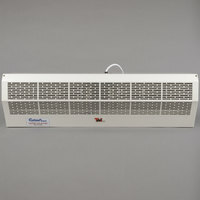 The unit creates a nice stream of air to help keep flying insects out of our building when the door is opened. The fan is quiet and less noisy than I expected. I would recommend this to anyone. Fits perfectly over our doorway. 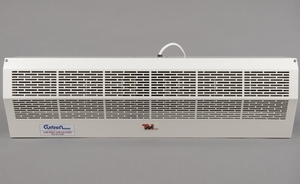 Our Air curtain prevents air-conditioned air from escaping our front door and also prevents bugs from coming in. 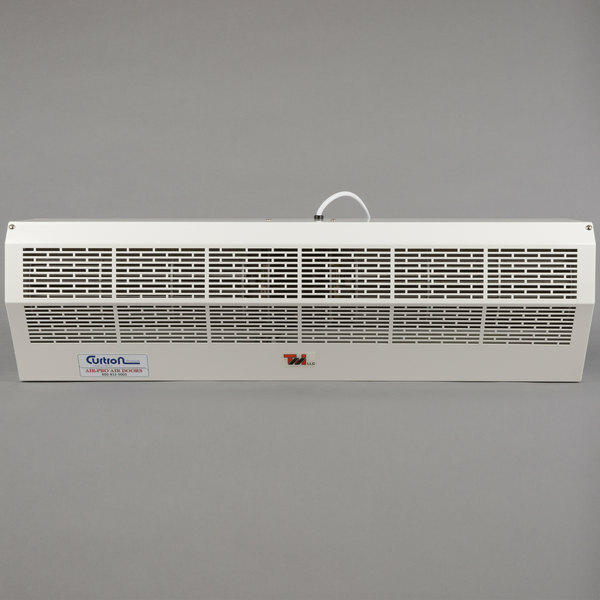 It's helped to control our temperature in the warm season.